Ace your college exams with test preparation strategies from our business in Saint Louis, Missouri. 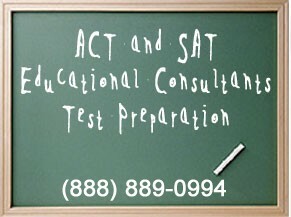 Educational Consultants offers excellent ACT, GRE, and SAT Preparation Strategies that can be downloaded directly to your computer. By choosing our strategy programs, you will be able to take your test at your full potential. Contact us at (888) 889-0994 to ask about our programs. Education Consultants offers one of the best test preparation sites in the country. Dr. Jack Arnold and the staff at Educational Consultants provide you with individualized strategies and motivational techniques that have helped thousands of students achieve their maximum academic potential for more than 10 years. Our owner, a psychologist named Dr. Jack Arnold, was providing testing assistance for high school students that were having problems with the ACT. He developed a special program and decided to start this business in 1991 to offer his prep strategies to the public. We feature a staff that has more than 35 years of test preparation experience. Our business has offers one of the top test prep programs in the country. E-mail us or call us in Saint Louis, Missouri, at (888) 889-0994 to inquire about our test preparation strategies.